INDIANAPOLIS, Feb. 17 (UPI) — Earth’s drylands are getting greener. The phenomenon has been documented in satellite images over the last several years, but scientists haven’t been able to explain the trend. After analyzing the findings of several regional studies on the subject, researchers determined that rising CO2 levels have increased the availability of soil water. Researchers believe higher CO2 levels have also diminished plant stomatal conductance — the exchange of carbon dioxide and water vapor in and out plant leaves. Though other factors — like a shift in grass-eating species or the encroachment of bigger, greener bushes on grasslands — may explain localized instances of greening, CO2 is the only explanation that fits the global trend. 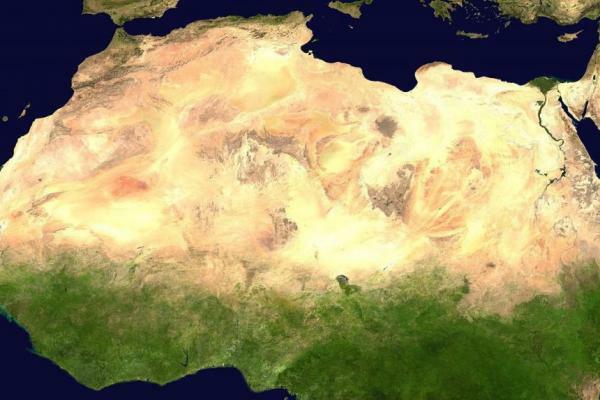 Drylands are the most abundant type of terrestrial biome on the planet, encompassing 41.3 percent of Earth’s land surface and serving as home to more than 2 billion people. Drylands are defined by the counterbalance between precipitation and evaporation or transportation. In other words, drylands lose most of the water they gain. The new analysis — detailed in the journal Scientific Reports — revealed a strong correlation between CO2 concentrations and soil water levels. Increasingly, climate scientists are trying to understand the ways global warming will alter the planet’s hydrological cycles, and determine how those changes will alter various ecosystems. Wang and his colleagues aren’t sure how long the heightened soil water levels will remain. At what point will rising temperatures offset the benefits of more abundant water reserves?